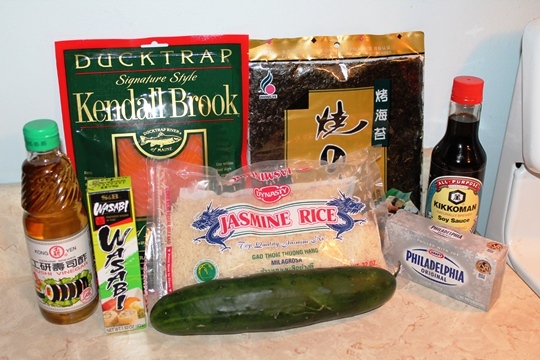 You are here: Home / Main Dish - Fish & Seafood / Want To Learn How To Make Sushi? 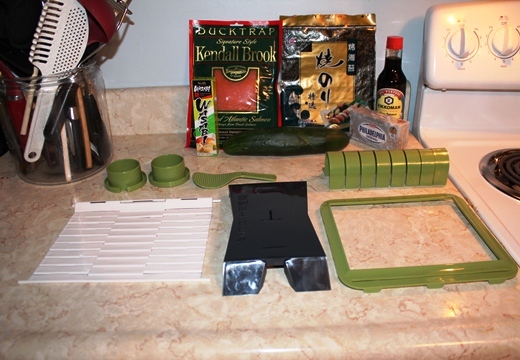 If you love sushi and want to try making it at home, see how easy it can be with SushiQuik. 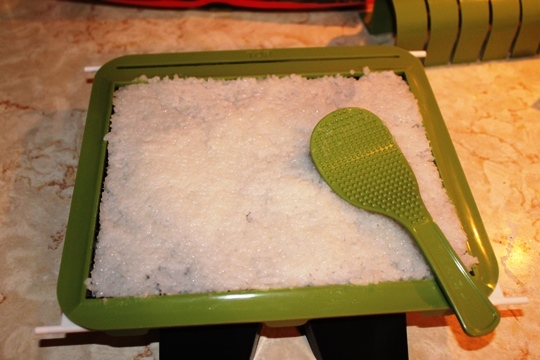 We loved the results we got using the SushiQuik! Get Ready to Roll With SushiQuik! I love sushi. A lot. When I lived in New York, I ate sushi almost every week. Whether rolled or sashimi, I will enjoy every bite of good sushi. Now, I live just east of ranch country. I can get all sorts of great beef here. Sushi? Not so much. What’s a sushi loving, city girl to do? Before the SushiQuik, I dreamt of it. Now, I make it myself! I would have never tried this without the SushiQuik. There are too many variables that can go wrong. And, I am not a skilled sushi master. 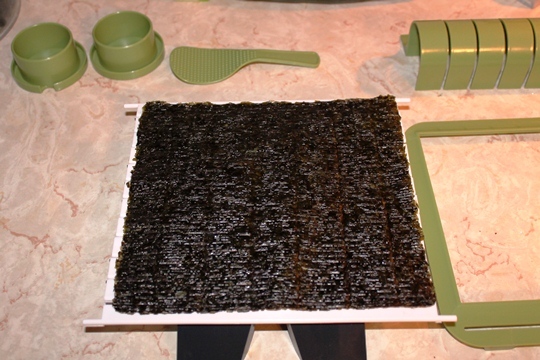 Thankfully, with the SushiQuik, I don’t have to be trained in the art of sushi to make a few rolls for dinner! First, you make your rice. 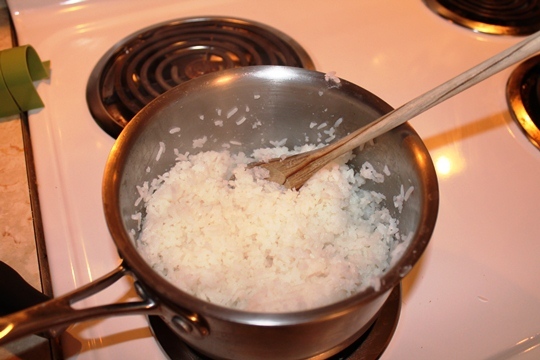 You can use a rice cooker or make it in a pot on your stove. I chose the latter. Then, you add in your rice vinegar. If you are not able to find pre-seasoned rice vinegar, they give you the directions to season your own. My local Asian grocery store had the seasoned sushi vinegar, so I used that. 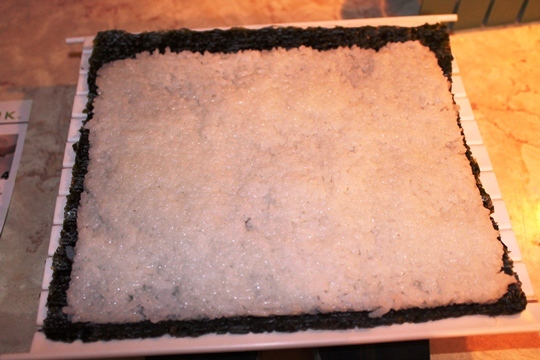 While my rice was cooking, I prepped the SushiQuik by following the very easy to follow directions. 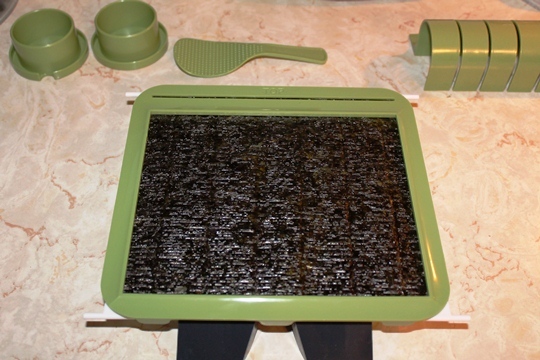 Then, you place your sheet of Nori on the SushiQuik. And place the training guide. 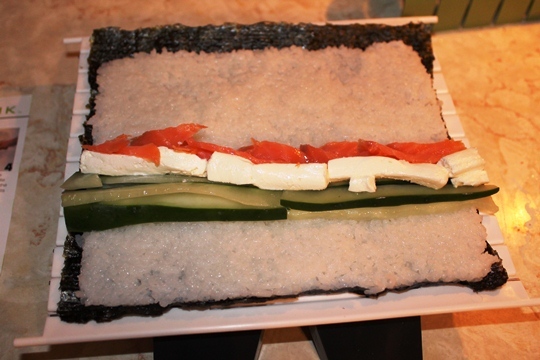 Add your ingredients (I used smoked salmon, cream cheese, and cucumber for a lovely Philadelphia Roll). 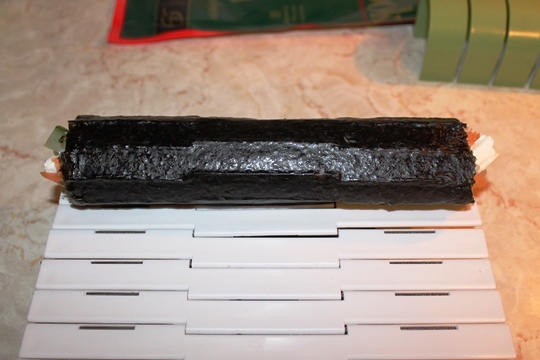 Then, place the cutting guide over your roll and cut thru the spacers. 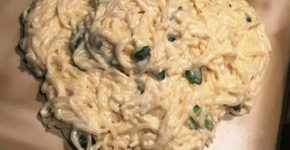 Enjoy with a good Wasabi paste and some soy sauce! 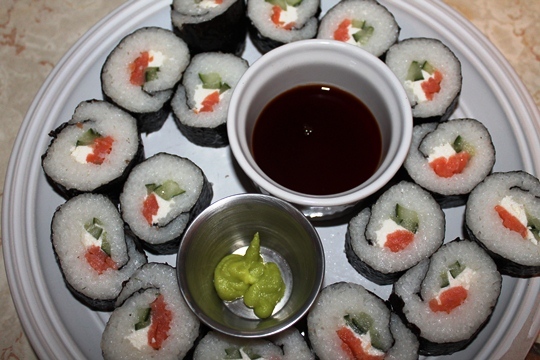 We loved our homemade sushi rolls. I can hardly wait to experiment with new combinations! 1) Those who love sushi, but do not live near a great sushi restaurant. 2) Those who love sushi, but do not have the financial means to go out every time the desire for it hits. 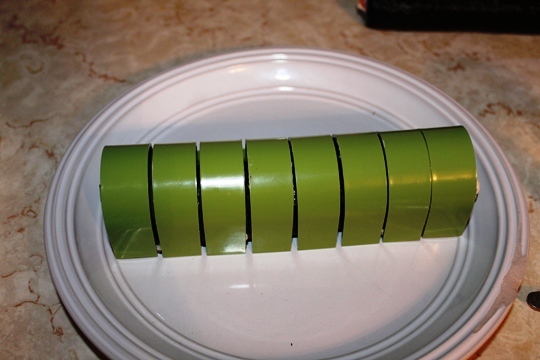 3) Those who love to entertain and are looking to diversify their party food. 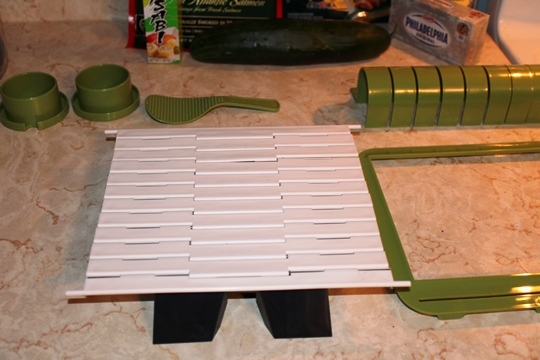 Note: I was supplied with one SushiQuik Sushi Kit with Roll Cutter for review. No other compensation was received. 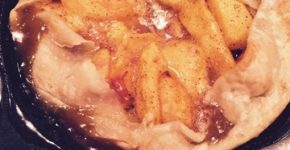 The review in this post is honest and my own.